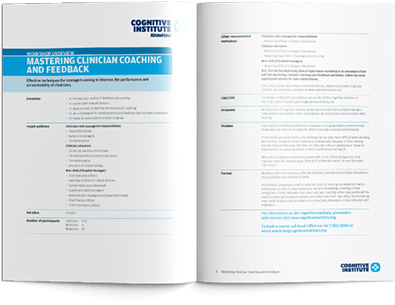 Coaching and providing feedback to colleagues in a busy workplace presents many challenges and requires very specific skills to motivate improved performance. In the healthcare environment, this challenge can be even more difficult when working with doctors, nurses and allied healthcare professionals. Because of their training and cultural influences, some clinicians can often see offers of assistance or ideas for improvement as a personal attack on their credibility and self worth. 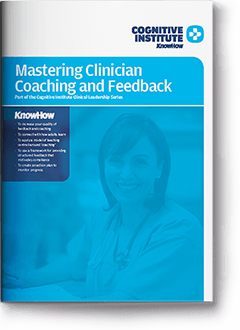 The Mastering Clinician Coaching and Feedback workshop provides both clinical and non-clinical managers with the tools to improve performance in their clinicians. create an action plan to monitor progress. Effective techniques for managers aiming to improve the performance and accountability of clinicians.